Click to download each of these materials. A comprehensive report (using the Government’s own figures) on Ontario’s deteriorating schools compiled by noted economist, Hugh Mackenzie. Help us get all candidates for the upcoming Ontario election to sign a pledge to fix our schools. 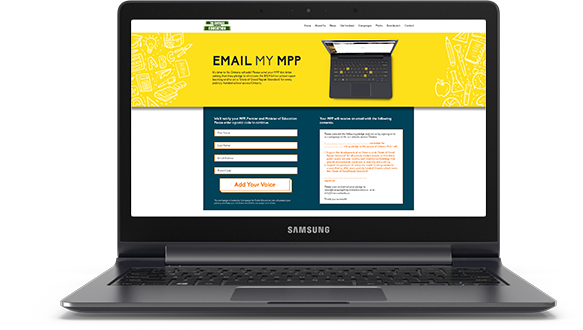 Show your support by sending a quick email to your MPP and the Premier.